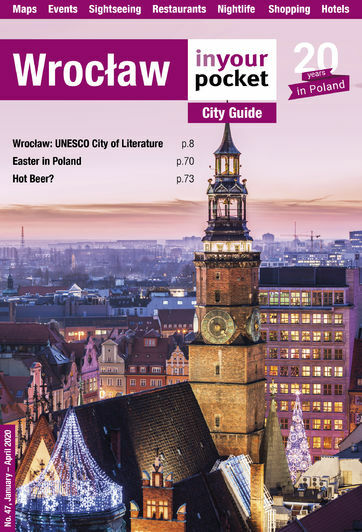 Simply put, the best way to reach Żagań is by car and this is particularly true if you are staying in the nearest large cities – Poznań and Wrocław. A car will also allow you to take a look around the town and make visiting the Stalag Luft III easier as well as the museum and the remains of the camp and tunnels are a little distance apart. It is possible to reach the town by public transport but it is not straightforward. To reach the camp by train from Wrocław you will most likely need to change as there are only a couple of direct trains a day and the times they run will require a night’s stay in the town. Use the English version of the Polish rail network's website - rozklad.pkp.pl - to plan your route, keeping in mind, obviously, the opening hours of the museum. If you can't catch a direct train, the most convenient route is usually through Legnica and the cost should be somewhere between 20-30zł (less when you get a direct train). Journey time 2.5-3hrs depending if you have to change trains or not. From Żagań train station take a local bus from the stop in front of the station in the direction of Iłowa or Gozdnica and get off at 'Modernbud'; this puts you 300 metres from the camp. Alternatively, take a bus in the direction of Wesoła getting off at 'Staszica' and you're about the same distance. Bus tickets cost 2zł. Buses also run from the Wrocław main bus station to Żagań, with a travel time of about 3.5 hours and a cost of about 40zł each way. From the Żagań bus station to the camp, directions are the same as from the train station. Getting there by bus or train from Poznań is arduous either way and the camp is best reached from Wrocław. There are, however, two buses from Poznań’s main bus station that go directly to Żagań. One leaves at 15:30 and arrives at 19:25, while the other leaves at 17:50 and arrives at 21:39; not particularly helpful if you'd planned a one-day visit. There's also a daily bus (which also doesn’t run on holidays) to Zielona Góra that leaves Poznań at 07:30 and 11:00 and arrives at 10:00 and 13:57, with buses from Zielona Gora to Żagań leaving at 11:00 and 14:15 and arriving at 12:11 and 15:40. The museum opening hours are such that a stay in Żagań will be required. Check out www.willapark.pl if you are looking for somewhere close to spend the night. If you’re going by train you need to take a minimum of 2 different trains to get there from Poznań, and it would also necessitate an overnight stay. It seems that despite the attraction of the camp for many Great Escape fans, getting out of the prison appears to have been easier than getting tourists to this historical spot in the 21st century.